We recommend checking out our discussion threads on the Glidetrack HD Series Slider Track (59") HD RAIL 1.5M, which address similar problems with connecting and setting up Camera Slider Accessories Glidetrack. The user manual for the Glidetrack HD Series Slider Track (59") HD RAIL 1.5M provides necessary instructions for the proper use of the product Professional Video - Tripods, Supports & Rigs - Camera Slider Accessories. 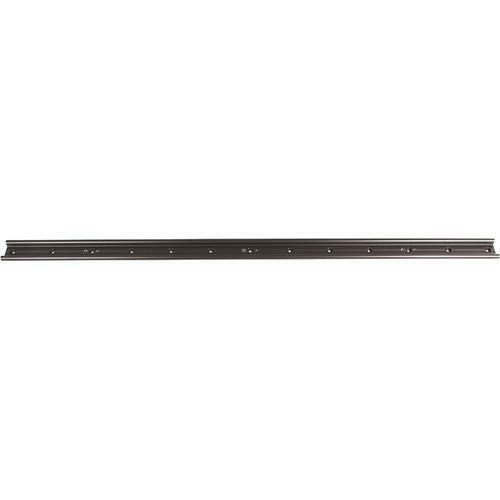 The Glidetrack HD Series Slider Track is a 59" long replacement rail that works with Glidetrack Aero HD Pro, Aero HD Lite, and Hybrid HD slider carriages. You can use this rail to create long slider moves. It is only compatible with available Glidetrack HD carriages, and is not compatible with Glidetrack's SD line of sliders that require a smaller track width and rail diameter. It is manufactured from extruded, hard anodized 6061 aluminum so it is lightweight, durable, and corrosion resistant. The 0.6" diameter rails are formed as part of the track bed, and cannot work themselves loose. The rails are set approximately 2.4" apart, which provides a wide support base for working with available cameras such as; the Canon C100/C300/C500. The track bed incorporates three sets of 1/4"-20 & 3/8"-16 threaded mounting holes. This allows you to mount and support the track bed in the middle or at each end. Box Dimensions (LxWxH) 78.0 x 7.0 x 3.0"
The user manual for the Glidetrack HD Series Slider Track (59") HD RAIL 1.5M can be downloaded in .pdf format if it did not come with your new camera slider accessories, although the seller is required to supply one. It is also quite common that customers throw out the user manual with the box, or put the CD away somewhere and then can’t find it. That’s why we and other Glidetrack users keep a unique electronic library for Glidetrack camera slider accessoriess, where you can use our link to download the user manual for the Glidetrack HD Series Slider Track (59") HD RAIL 1.5M. The user manual lists all of the functions of the Glidetrack HD Series Slider Track (59") HD RAIL 1.5M, all the basic and advanced features and tells you how to use the camera slider accessories. The manual also provides troubleshooting for common problems. Even greater detail is provided by the service manual, which is not typically shipped with the product, but which can often be downloaded from Glidetrack service. If you want to help expand our database, you can upload a link to this website to download a user manual or service manual, ideally in .pdf format. These pages are created by you – users of the Glidetrack HD Series Slider Track (59") HD RAIL 1.5M. User manuals are also available on the Glidetrack website under Professional Video - Tripods, Supports & Rigs - Camera Slider Accessories.